Visit high Ships at Channel Islands Harbor this January and step-back in time to simply take a glimpse of what life had been like at ocean throughout the 1700s and 1800s. The Channel Islands Harbor welcomes two boats, the woman Washington in addition to Hawaiian Chieftain for your research. Feel the seas in the same manner sailors performed 200 years back! Dockside tours coupled with adventure sails for several many years lead to a real first-hand journey into maritime’s past. Arriving this year on January 18, the boats stay dockside through January 23rd. After their visit to Oxnard, the Tall Ships will continue their particular voyage down the West Coast to north park. Why go to? In a word: adventure. Tall Ships invite you not only to learn through touring these vessels, but to have a journey all of your very own. Enjoy a dockside trip or continue an adventure sail, while the two collectively lead to a one-of-kind experience. Furthermore, academic (K-12) and special sails can be obtained by booking. Specifically enjoyable for youths, the educational trips offer a genuine adventure in which genuine “battles” ensue, detailed with re-enactments and blank cannon fire! The ships and academic program are placed on by Grays Harbor Historical Seaport Authority. The girl Washington is a faithful replica associated with very first United states ship to round Cape Horn and land into the Pacific Northwest. Called honoring Martha Washington, the wood vendor ship features a storied history taking part in maritime trade such as fur, beverage and porcelain. Quite as interesting, the Hawaiian Chieftain is a traditional replica of an 18th century square-rigged ship. 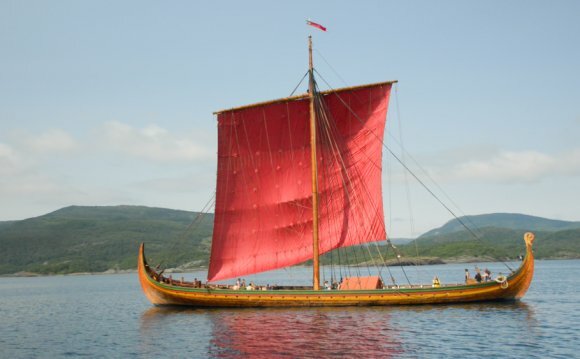 It sails just like trade and exploration vessels performed centuries ago across the coastline. Today training vessels, both vessels are “living” samples of how products had been moved to and from different lands and cultures significantly more than 200 years back.